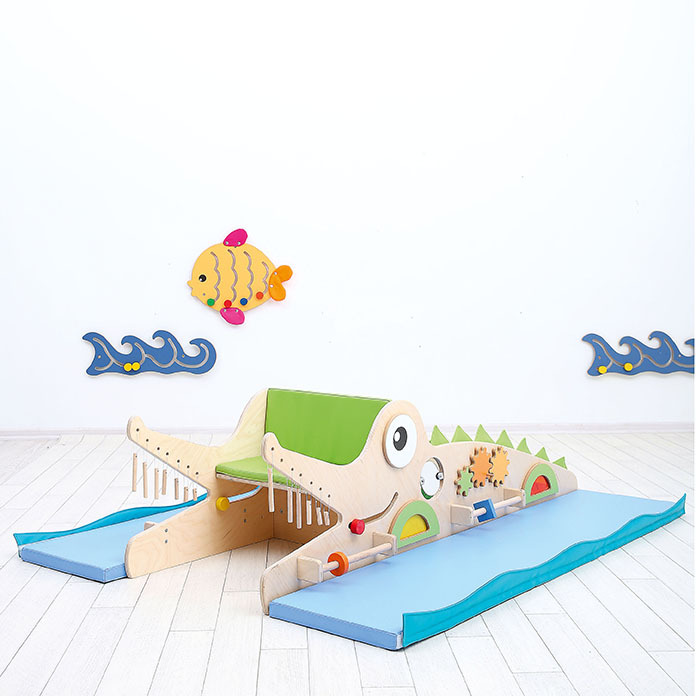 Children learn through play with the Sensory Crocodile – offers children lots of moveable, squeaky, musical and textured play elements so that they can discover new shapes and sounds whilst practising motor skills. Features a grass textured carpet and blue foam mattress. Includes seat and cushion. Ages 2+.